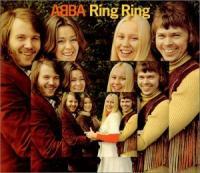 Abba's discography, news, songs, lyrics, photos and more on the greatest Swedish band ! 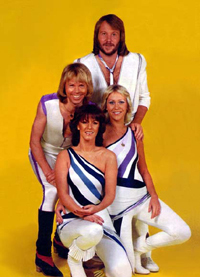 ABBA was a Swedish pop music group, the most successful to date from that country. 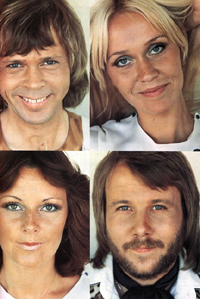 The group was formed around 1970 by Björn Ulvaeus, Benny Andersson, Agnetha Fältskog, and Anni-Frid Lyngstad, and the name ABBA comprises their first initials. They became widely known when they won the 1974 Eurovision Song Contest with "Waterloo". Abba split up in 1982.